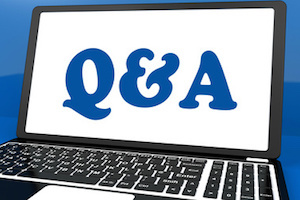 Here’s a new CCNA-level question to consider, this time on Spanning Tree Protocol. Before diving in, be warned, it’s meant for study prep, not for assessment. That is, I’m not attempting to make this question exactly like an exam question, but rather, make it useful for forcing you to think about what you learned, apply it in a new way, and really understand this stuff. In the switched network shown in the figure, consider only the spanning tree for VLAN 2. The switches use some mechanism for STP that creates a separate STP topology per VLAN, for instance, PVST+. The example that follows shows a portion of the output from a show command on switch S1. 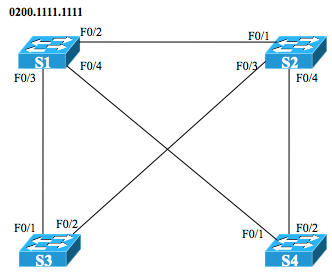 1) Which of the following settings impact a switch’s choice of root port in VLAN 2, on at least one of the switches in this topology? If we increase the cost to a value more than 38 , then S2’s Fa0/1 will no longer be the Root port for VLAN 2. P.S “B” and “E” options is the same ( S3’s VLAN 2 STP cost on F0/2 ). i think answers are A and D.
As Samir noted, the answers B and E are same. I changed Answer E to mention S3’s F0/1. The I believe A, B, and E are correct – check those figures in the middle of the explanation. Those those the interfaces whose costs, if changed, will impact the root port choice by both S2 and S3. But this is a fairly challenging exercise, and somewhat abstract! Wendell, why is B considered in this scenario? Is it because if SW3 F0/1 fails then F0/2 port cost is considered? If that is the case, if SW3 F0/1 fails, it has no other choice than to forward out F0/2 and port cost wouldn’t be considered correct? I believe the answer’s post (https://blog.certskills.com/ccna/stp-qa-801-answer/) has a section on that very point… Note that the question is pretty broad, so most every interface could have an impact on some switch’s decision process. Thanks – glad you love the books! That’s true for all Cisco Press books, and it’s collected mostly from reader feedback we receive per the instructions on page iii of each book under “Feedback”. So you can find all know errata (that is, errors that are meaningful; we don’t post the obvious typos) on the equivalent page for any Cisco Press book. That said, indeed, answer A is not correct. Note that the question appears on page 70 of the retail edition, not page 87 – maybe you’re reading the Academic Edition (which has different page numbers), and even has a different errata file with page numbers for that book). Anyway, if you look at the errata file, you’ll see where for page 71 (retail edition) it shows that the incorrect answer set of A, D should instead list only letter D as a correct answer.